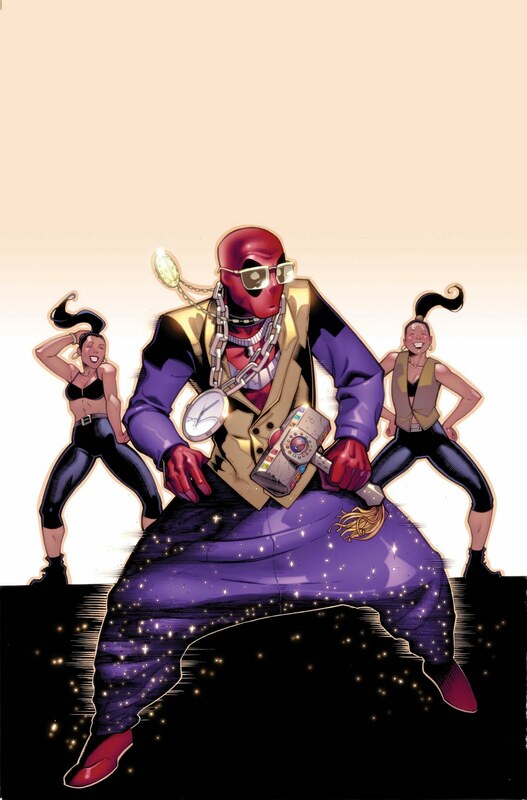 Marvel has just announced a three issue Fear Itself: Deadpool miniseries starting in June. The series is written by Christopher Hastings with art by Bong Dazo, and is part of the Fear Itself event. Marvel.com has additional comments from writer about the series. This June, brace yourself for Fear Itself: Deadpool #1 (of 3) as award-winning writer Christopher Hastings (Dr. McNinja) and fan favorite artist Bong Dazo throw Deadpool right into the thick of Fear Itself, the blockbuster comics event of the year! When the Marvel Universe was under attack from the Skrulls – Wade Wilson answered the call to save the World, but can Deadpool be of any help against the God of Fear? If there’s money to be made, you can bet he’ll try. When the Serpent terrorizes the Marvel Universe with his unstoppable army and leave Earth’s Mightiest battered and bruised, all hope lies in…Deadpool? Can Wade get his hands on one of the Worthy’s hammers or will he just head to the hardware store and pick himself up a substitute? Either way, it will definitely affect his bank account because; this June Deadpool faces the full fury of horror in Fear Itself: Deadpool #1 (of 3)!